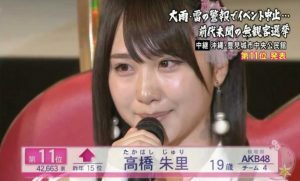 The ever popular idol group, with the near completion of the “Adult AKB” project, continues onward with hiring new AKB48 members, in the same way that people apply for part time jobs. This “Part-time AKB” project was announced on the 10th, during the AKB48 Group Summer Festival, which took place in Chiba’s Makuhari trade center. 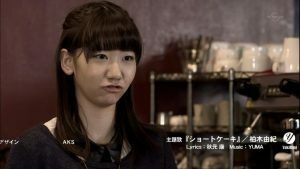 Usually, AKB group members undergo an audition, become kenkyuusei (“research students”). After gaining experience, their status becomes raised to full fledged members. This year’s deal with Glico (the Japanese confectionary company) brought with it the birth of the “Adult AKB” project. Similarly, this is a collaboration with a job-searching site called Baitoru. “Part-time AKB” positions are available to females who are past middle-school age, and not attached to another production company. They will undergo two auditions, and new members will be announced at the end of September. Part-timers will have a contract with AKS, and be paid 1000 yen per hour (at the time of this writing, about $10 USD). As full fledged AKB members, they will take part in live shows, handshaking events, in addition to appearing on TV shows and commercials, and are therefore required to live in a metropolitan area (in order to attend lessons). Working hours will apparently be between 7AM and 9PM, in order to comply with local labor laws. Middle schoolers aren’t allowed to work more than 40 hours; if they graduated, the same law applies until they turn 18. For those older than 18, this restriction doesn’t apply, and there will be late night work. The contract appears to be for a five month period, ending in February of next year. After that, the agreement may be extended 3 more months, and will apparently include more paid benefits, such as covering of transportation and food costs.